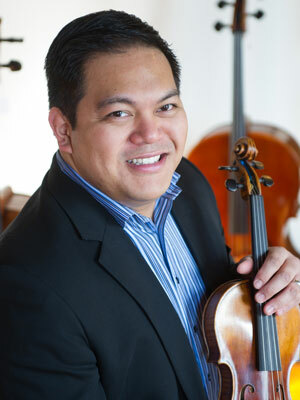 Allan L. Espinosa is a recent graduate from The Boston Conservatory receiving his Master’s degree in violin performance. He first came to Boston in 2002 to complete his undergraduate degree at the Boston Conservatory where he studied with Lynn Chang and graduated with honors in 2005. During the last five years in Boston, Mr. Espinosa has played with various New England ensembles such as The Vermont Symphony, The Orchestra of Indian Hill, and The Reagle Theater Players.